John Farnham will lead a line-up of top Aussie talent helping to bail out drought-stricken farmers, headlining a huge charity concert. 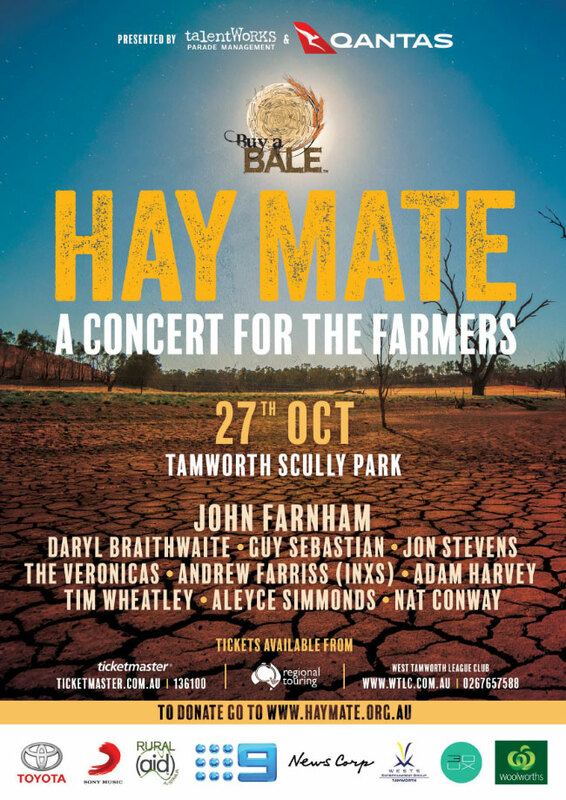 Hay Mate: Buy a Bale — A Concert For The Farmers will take place at Scully Park in Tamworth on Saturday October 27 and will include a host of stars including Daryl Braithwaite, Guy Sebastian, Adam Harvey, The Veronicas and more! SONY MUSIC ENTERTAINMENT AUSTRALIA IS PROUD TO RELEASE ‘CLOSE TO ME’, THE BRAND NEW SINGLE FROM ISAIAH.